I don’t have a recipe today, but I’m still sharing some Instagram shots some of my lunches—on the days I work from home and when, most importantly, the natural light is good—over on the Facebook page, which you can follow if you’d like to. My Instagram is @LukasVolger if you care to follow there. 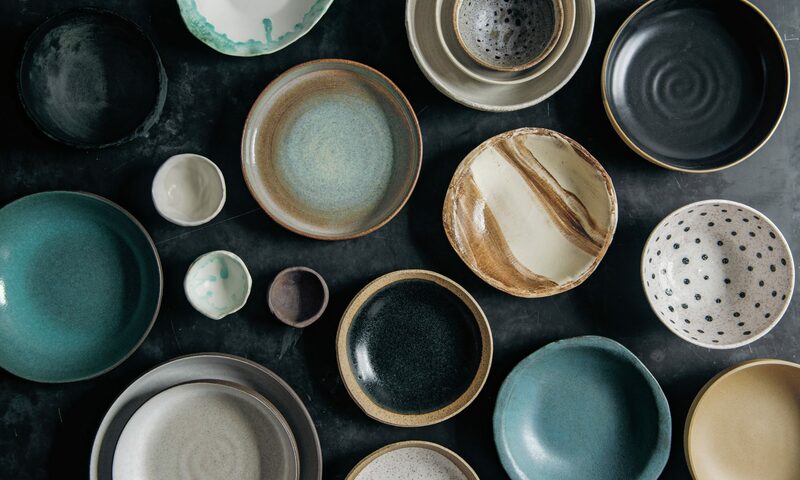 Hopefully one or two of these will inspire you in the kitchen, give you something new to try, particularly as far as summer food goes. Let me know in the comments if you have any specific questions. Happy July—almost August. I hope you’re enjoying vacations and hikes and summer produce and the steamy outdoors as much as I am. 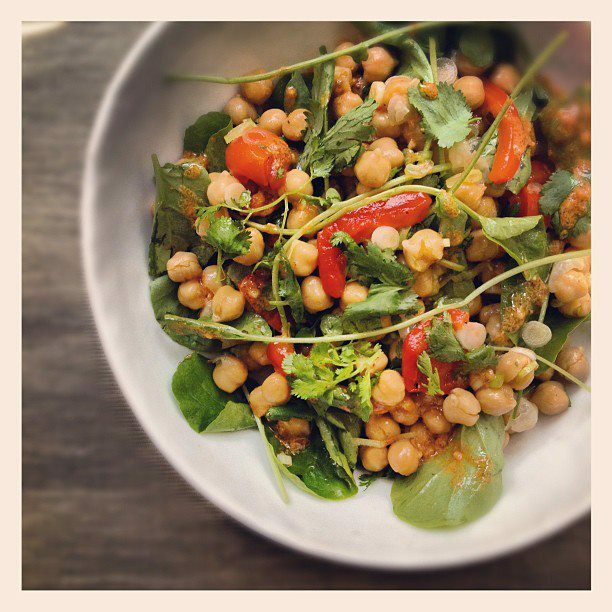 Up top is a garbanzo salad with upland cress, roasted bell peppers and tomatoes, and a smoked paprika vinaigrette. 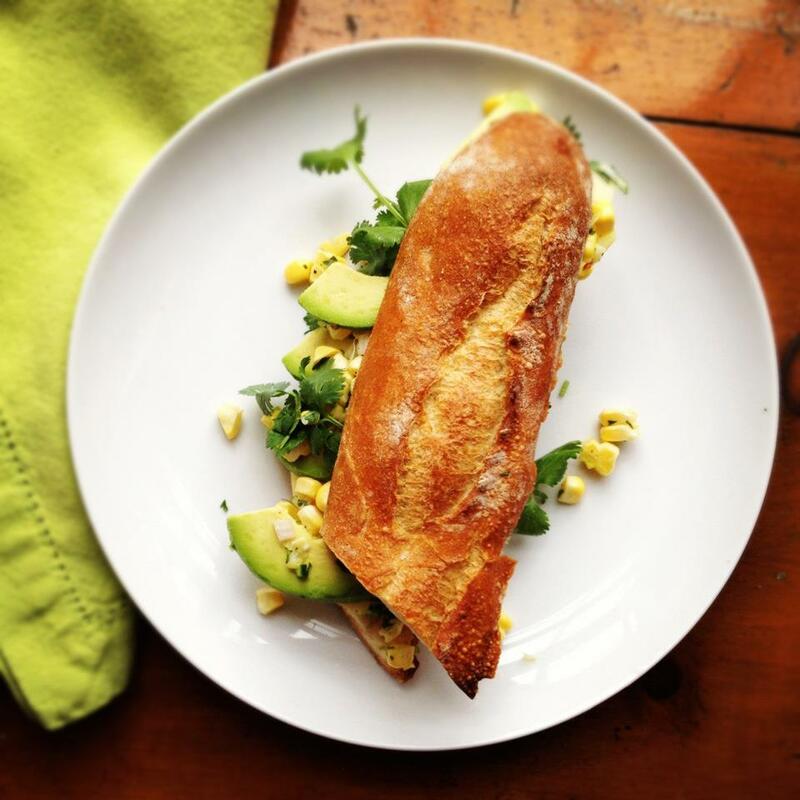 Here’s a sandwich with sharp cheddar, avocado, and a spicy corn salad on a toasted baguette. 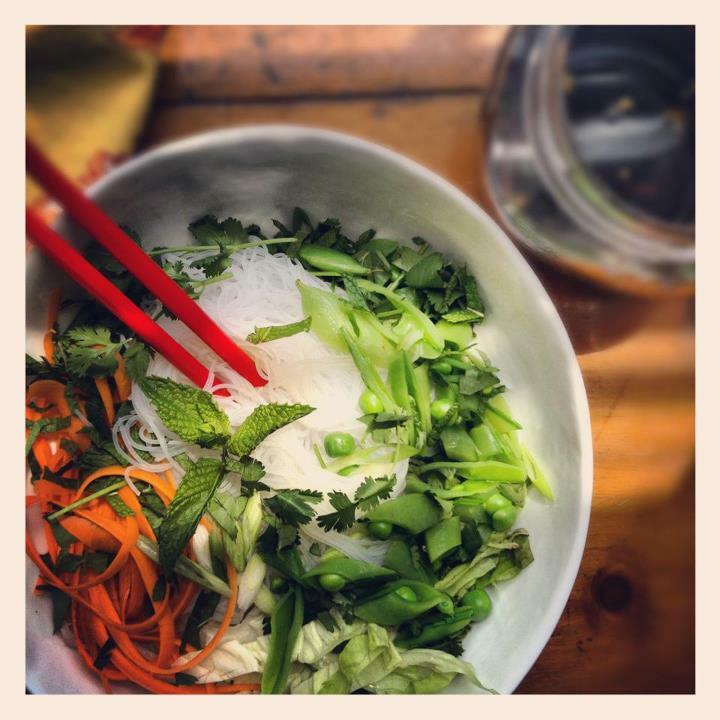 This is a cold vermacelli salad, with carrot ribbons, snap peas, scallions, mint, cilantro, and a vegetarian take on nuoc chama, a Vietnamese dipping sauce. 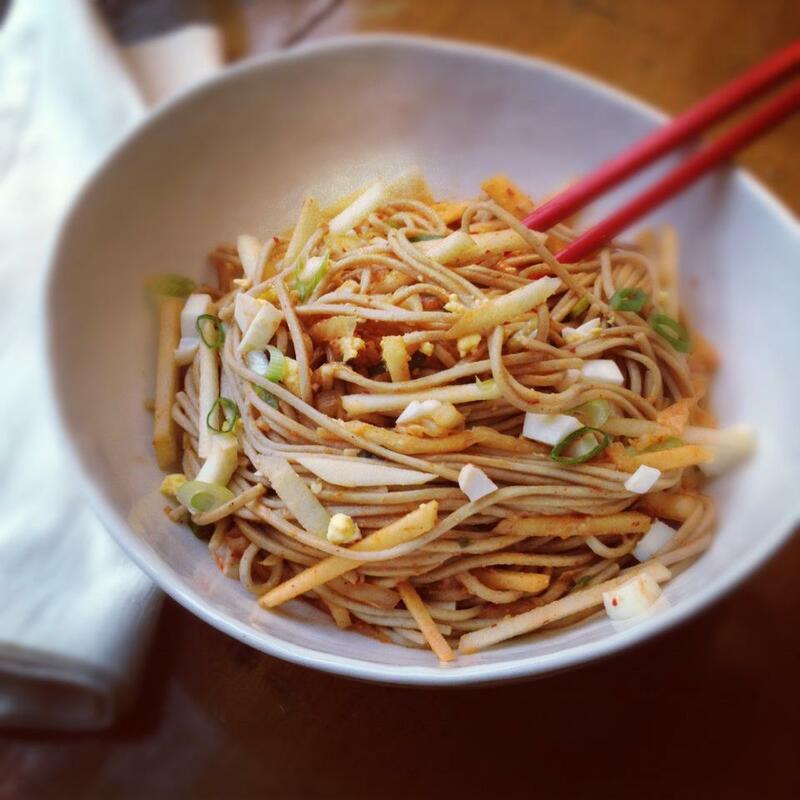 Cold soba noodles with kimchi, hard-boiled eggs, apple, and scallions. This was surprisingly good. 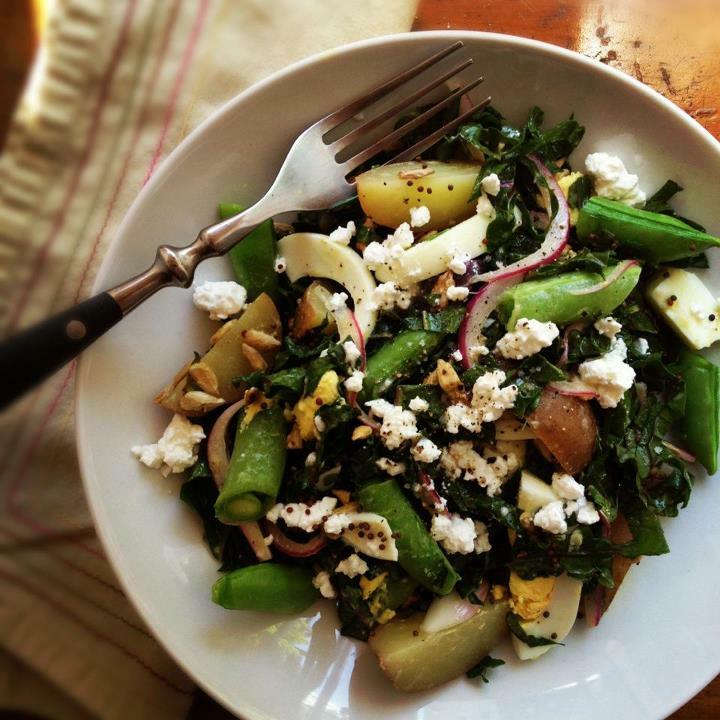 Here’s a warm potato salad with kale, snap peas, hard-boiled egg, feta, red onions . . . what else is in there? Oh, a lot of sunflower seeds and a mustardy dressing. 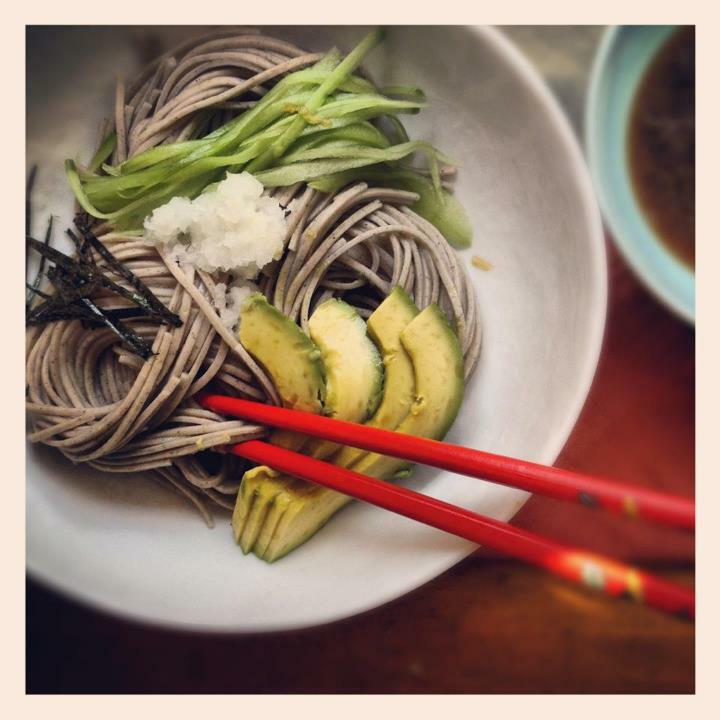 Delicious zaru soba—Japanese cold soba noodles with dipping sauce—with avocado and cucumber, as well as grated daikon radish and slivers of nori. 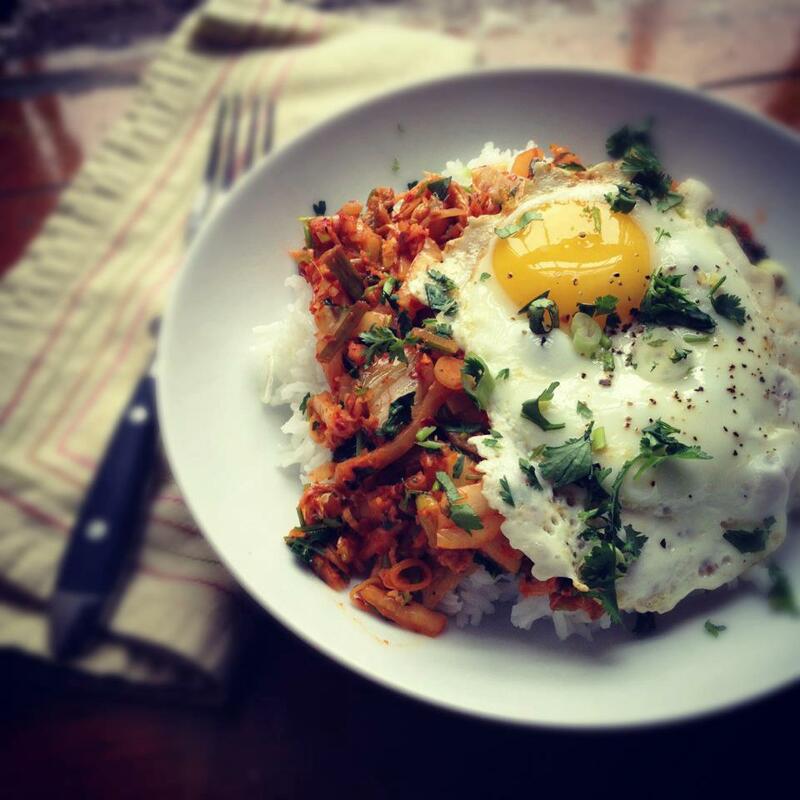 Breakfast of champions a couple days ago: Kimchi sauteed briefly with ginger, garlic, and scallions, served over fresh rice and topped with a fried egg. Looks so tasty! I’m terrible at cooking asian food. Yours looks sooo good!